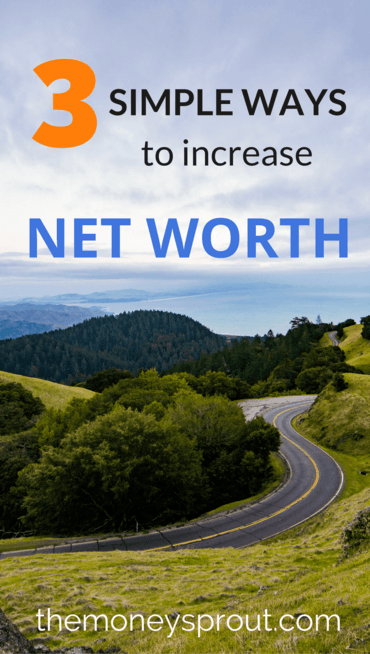 Do you know the best way to increase net worth? If you answered making more money … then you would be partially correct. In order to increase net worth, you need to focus on both sides of the equation … growing your assets while lowering your liabilities. And in order to help with that, might I suggest tracking your net worth? My family hasn’t always tracked our net worth. In fact, we only started a few years ago. But in that time, we have realized how important it is. Instead of focusing just on saving money or just on growing our income … tracking our net worth allows us to focus on both. You need to understand that in order to increase net worth … it isn’t simply about earning a ton of money. Of course that can help, but I know plenty of people who make a lot of money but have very little to show for it. It also isn’t just about trying to save every dollar you make. Again, saving can be important, but it isn’t the whole picture. In order to increase net worth … it requires a combination of both. And on top of all that … it takes self discipline and careful planning on what to do with the difference between your expenses and income. So if you are serious about growing your net worth, then I suggest you start by following the 3 tips below. Note – If you are looking for a great FREE TOOL for tracking net worth, might I suggest using Personal Capital. I think it is a mistake to focus solely on saving money. Don’t get me wrong … saving money can be a great thing. But after a certain point of cutting back, there isn’t much you can do. Unless you decide to stop eating and want to go live outdoors for the rest of your life? The same can be said about earning income. Getting a promotion at work, starting side hustles, or working a second job can really help your income grow. But at what cost is that extra income coming at? I firmly believe in growing your income. But you need to have a balance between the amount of time you spend creating that extra income and the value it provides. The best tips I can provide is a combination of the two – living well below your means (i.e. saving more) and growing your income. And what you decide to do with the difference is the magic key to increase net worth. This can all be summed up by following these 3 tips below. When it comes to growing your net worth, I don’t like saying … “you need to save more money”. It is common sense that you need to save more. My wife and I are frugal people by nature. We don’t like a lot of waste, especially when it comes to our finances. However, I don’t believe in being cheap either. When you are cheap, you can actually waste money too. For example, does it make sense to buy a low cost appliance that will probably need to be replaced in a year? I would rather spend more money on a quality product that will last … just as long as it is something we need. I also believe there are certain expenses worth spending more on. For example, our health is one of the best investments we will make. So our family is okay with having a higher grocery budget, so we can spend more on organic, non-processed foods. On the other hand, we don’t value cable television like many other family’s we know. So we have chosen to replace cable with cheaper streaming services. We also don’t drive expensive cars. Up until a few months ago, the car I drove to work was over 15 years old and had over 150,000 miles on it. The maintenance on that vehicle was higher than a new car … but overall we save a bunch of money by driving older vehicles. Update – Unfortunately the cost of maintaining my old car became too high so we ended up donating it. I have since bought a brand new car which pushed our net worth down. The good news is that we financed the car at 0% … so we are not paying any interest. The bottom line is that our family is always working to live well below our means. But that doesn’t mean we cut every cost … especially the those expenses we value. We choose the things that are important to us (i.e. food and health) and spend more in those areas, while cutting way back in other areas that aren’t as important. Yes … when it comes to growing your net worth, earning more income can certainly help. Working extra hours at your job to get a raise or promotion is one way to start. Or maybe you decide to pick up a part-time job to increase your income? There are plenty of opportunities to grow your income, including building a side hustle. Each of the listed methods can certainly help to increase net worth. But only focusing on growing your income can also come at a cost. If you are spending a bunch of hours growing your income … it is critical that you don’t have lifestyle creep. Don’t let your increased income allow you to spend more money. Make sure that your expenses don’t follow the increase in income. The key is to grow your income and try to save more – all at the same time. Once you have figured out that it is good to focus on both parts of your net worth … the next step is the most important. What you do with the ever increasing difference between your income and expenses will determine how fast your net worth will grow. For example, our family invests all of our difference into dividend stocks. We want our money to always be working hard for us earning more income. So each and every month, we invest almost all of the money we have leftover into the stock market. As our income grows and our expenses decrease, we can invest more and more. This is where net worth can really start to accelerate and grow. For example, we will likely earn $2,400 in dividend income this year. Not bad, but still a lot of growth to go. Next year, we will be close to earning $3,000 in dividend income. All of this is dependent on earning more income, while saving more … and investing the difference. Note – if you are looking for a way to keep brokerage commissions and fee’s low … might I suggest Stockpile as a place to start? They offer $0.99 trades on a wide variety of stocks. If we are able to keep this cycle going year after year … we will have given our net worth a huge boost. It doesn’t matter if you choose dividend stocks, real estate, peer-to-peer lending, or start a new business … they key is to put your money back to work earning more income. Let your money start working for you! When it comes to growing your net worth … one should not focus strictly on saving more money. While helpful, there are only so many places you will be able to cut expenses. 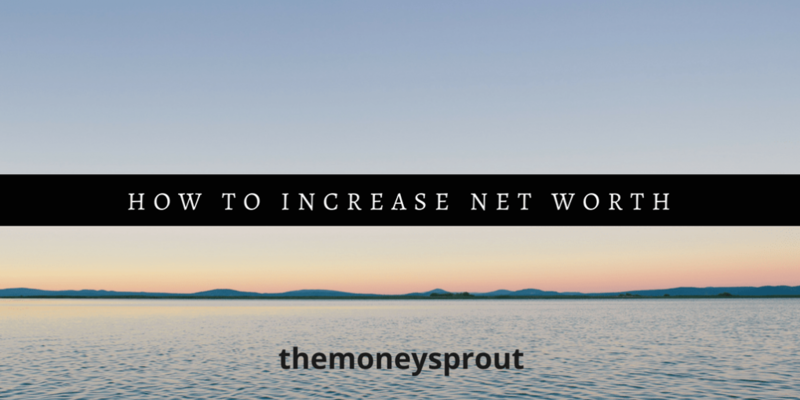 Increasing your income will also help your net worth grow. However, you need to make sure that as your income rises, your expenses don’t follow. Net worth needs to grow based on both factors – living well below your means and growing your income. And as you focus on both, you must put the difference (income – expenses) to work for you by investing. If you want to accelerate the growth of your net worth, then you must make your money earn more income for you. Lastly, I wanted to remind you that patience is required to increase net worth. It takes sacrifice, careful planning, tracking of your assets and liabilities to help it grow. That is why our family started tracking it each month and you should try it too. Do you focus on both sides of the net worth equation? What other suggestions can you provide to widen the difference between your income and expenses?